Ready for the ultimate life of luxury? Can’t wait to get behind your new Mercedes-Benz? At Mercedes-Benz of Lynchburg, you’ll find the ultimate vehicle of your dreams! Get ready to feel luxurious as you drive through Virginia, taking the Blue Ridge Parkway, known as “America’s Favorite Drive.” If you’re feeling more adventurous, take your Mercedes-Benz out for a drive on the Colonial Parkway and through the Colonial National Historic Park. No matter where you go, you’ll be traveling in style! What makes our location in Lynchburg, VA stand out? Our new vehicle inventory consists of a large selection of the most popular vehicles! Even better news? We currently have incredible new vehicle specials going on! Don’t miss out on these amazing offers! Contact us at the dealership to learn about even more ways to get into your vehicle at an affordable price! Our friendly associates are ready to help answer any questions you might have. We’re happy to assist you in any way. Searching for the new E-Class or the C-Class? Mercedes-Benz of Lynchburg has a great selection! We also have a wide range of other models such as the GLE and the CLA! We have great offers on our most popular models! Why not take advantage of our special offers on a new Mercedes-Benz CLA, C-Class, E-Class, or GLC? Be sure to check out our new vehicle inventory online. There’s no day like today to live a life of luxury! As soon as you find the perfect vehicle for you, come visit us! You’ll be able to see your dream vehicle in person, take it for a test drive, and learn more about our incredible specials! These specials are for a limited time only! They won’t last forever. The incredible price or monthly payment that you see on our website today for your dream vehicle could be gone tomorrow. Don’t miss out on these fantastic prices! At our dealership in Lynchburg, VA, we want you to get a feel of your new vehicle! Stop by today to take a test drive. 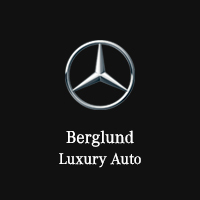 Once you’ve experienced the comfort of driving a Mercedes-Benz, you’ll be on your way to the life of luxury! There’s no better feeling! Our devoted sales staff have years of experience. We promise to go above and beyond to make your experience pleasant, hassle-free, and enjoyable. We have a history of meeting our customers’ needs and we want you to be satisfied as well! Our staff will give you the latest information on our various specials. Stop by and see us at our dealership today! Our location is convenient to Roanoke, Charlottesville, Danville, and Bedford. Come visit us today at 2643 Lakeside Drive, Lynchburg, VA 24501.